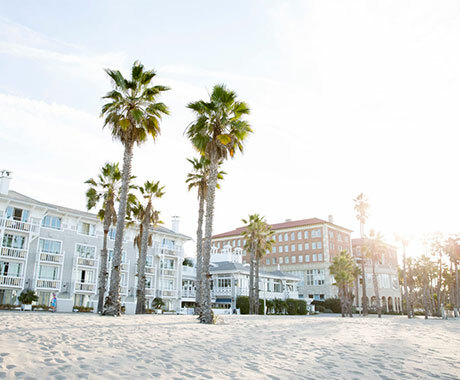 Santa Monica boasts hundreds of pieces of street art, public art installations, and a busy schedule of arts and culture programming. 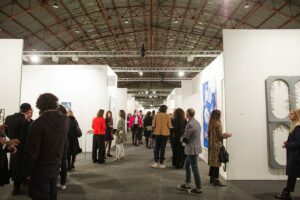 So, it’s no surprise that its art fairs are perfect places for creative minds to discuss new ideas, discover inspiration, and purchase the best finds from artists themselves. 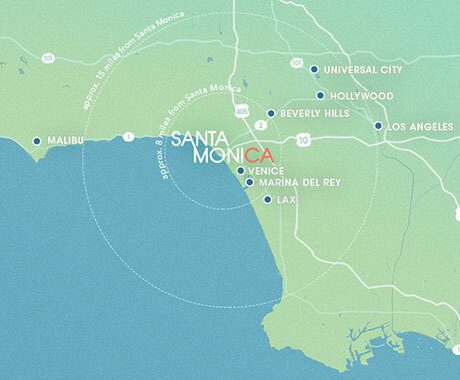 Above all, Santa Monica’s art fairs immerse people into an innovative, idea-centric world. The WestEdge Design Fair combines passion for design with entertainment in an effort to promote engagement between consumers and designers. It is one of the most fascinating art fairs because attendees can enroll in panel discussions and workshops that are not only design savvy, but intuitive. For instance, one workshop, “The Science of Color,” discusses how consumers neurologically and cognitively react to different colors. Overall, the WestEdge Design Fair will provide opportunities for guests to interact with designers, learn design techniques, and view immaculate, modern designs up-close. 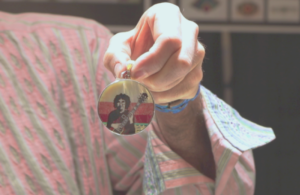 The Santa Monica Bead & Design Show will have something for every craftsperson. This year, 150 artisan exhibitors will be selling a multitude of handmade jewelry, textiles, beads, and gems. Additionally, guests may attend workshops to create unique jewelry using different materials and relax at the Le Méridien Delfina Hotel bar. Discover the artists of the future by attending The Other Art Fair that represents emerging, talented artists. Attendees will see a variety of artistic mediums and speak to the artists themselves to discuss the inspiration behind their work. Also noteworthy, the price of artwork starts at $100, making it the perfect art fair for those wanting to start an art collection. Of course, The Other Art Fair will also provide theater performances, live music, and food and beverages. Shop above the sea at Unique LA’s large-scale holiday market on the Santa Monica Pier. 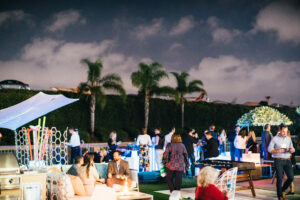 Because they are dedicated to helping local artists and designers grow their brands, Unique LA’s events are great locales for creative minds. 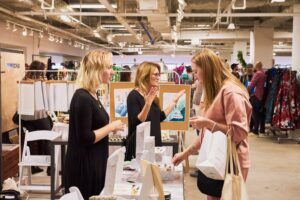 Attendees can purchase unique finds and complete craft projects and workshops. Also, music, free beverages, and those stunning ocean and coastline views are definitely added bonuses! Walk underneath 40,000 ft ceilings in the immense Barker Hangar in Santa Monica and become inspired by contemporary art. 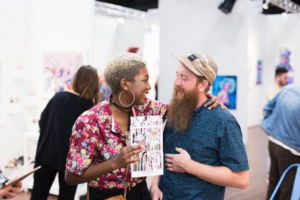 Also, known as “The International Contemporary Art Fair of the West Coast,” Art Los Angeles Contemporary hosts an immaculate, four-day fair where guests are immersed into a world of artistic vision. As a result, Art Los Angeles Contemporary offers panel discussions, film screenings, and masterpieces from recognized and emerging galleries.